The African American struggle for civil rights in the twentieth century is one of the most important stories in American history. With all the information available, however, it is easy for even the most enthusiastic reader to be overwhelmed. 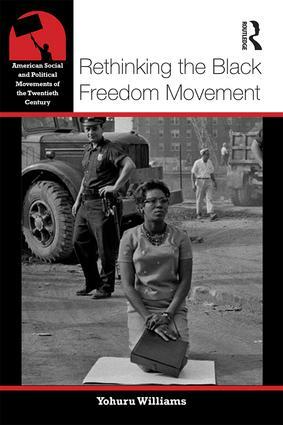 In Rethinking the Black Freedom Movement, Yohuru Williams has synthesized the complex history of this period into a clear and compelling narrative. Considering both the Civil Rights and Black Power movements as distinct but overlapping elements of the Black Freedom struggle, Williams looks at the impact of the struggle for Black civil rights on housing, transportation, education, labor, voting rights, culture, and more, and places the activism of the 1950s and 60s within the context of a much longer tradition reaching from Reconstruction to the present day. Exploring the different strands within the movement, key figures and leaders, and its ongoing legacy, Rethinking the Black Freedom Movement is the perfect introduction for anyone seeking to understand the struggle for Black civil rights in America.